Thirteen local government chairmen defect from APC to PDP in Benue state – Royal Times of Nigeria. In continuation of the political upheaval in Benue State, thirteen out of the twenty-three local government chairmen in have defected from the All Progressives Congress (APC) to the Peoples Democratic Party (PDP). This comes three days after Samuel Ortom, governor of the state, joined the PDP. 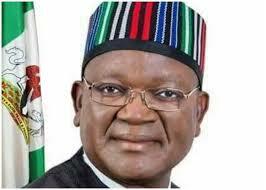 While announcing his defection at the state government house on Wednesday, Ortom said a crowd of followers were waiting to join him in his new party. Speaking today while receiving the chairmen into the PDP at a ceremony in Makurdi, the state capital, Governor Orotm appealed to the people to give the PDP another chance. He said the ongoing internal reforms within the party will address some of the injustices to some members prior to the 2015 general elections.